Are Cloud Phones the Legacy of the Kin? Now that both Microsoft and Verizon have thrown in the towel on Kin, we can examine the ‘cloud phone’ paradigm behind the dead gadget. Debuting with an ad campaign that made us question whether our online connections were really our friends, and introduced as a phone that was supposed to bridge the gap between the online and offline worlds, the Kin aimed to fill several voids in our daily use of technology. The Kin had a few well documented issues: an operating system that was outdated before it launched, a half-baked Twitter client, smartphone data pricing for a non-smartphone, no app store, etc. But being the spiritual successor to the Sidekick the Kin did have one feature that was a bit forward thinking: cloud connectivity via Kin Studio. The Studio was designed to be the online repository of Kin users’ data. Everything done on the phone would be mirrored online. This would give users an easy way to look at all of their text messages, phone logs, pictures and social network updates. Given the transformation cell phones have undergone since the release of the iPhone, an online hub of phone data that can be viewed on the larger screen of a laptop or desktop sounds like a good way to make up for the limits in screen size and power inherent in the design of any phone. Anyone who has tried to use iTunes to manage their phone data understands how difficult the phone-desktop interface can be. Apple has designed a wonderful system if you simply want to sync all your photos, music, and videos between a computer and a phone, but venturing outside of that path can lead to nightmares. Google has done a great job associating Android phones with Google accounts, managing downloads, and sharing between the cloud and the phone. It’s easy to get a new Android phone and seamlessly import all your settings from the last phone without ever plugging it into a computer. However, Google has so many products and services that, at the moment, it can be hard to choose which Google account in the best one to use as your primary login. With the upcoming connectivity between Android and Google TV, including controlling Google TV with your phone and running apps from your phone on your large television screen, a whole new era of data sharing is going to arrive. Microsoft hasn’t forgotten their promises about Xbox Live integration in Windows Mobile; this functionality will finally arrive in Windows Phone 7. Xbox Live is essentially a social network confined to the console and could put Microsoft into the mobile gaming race with a built-in user base with a network of friends keen on unlocking achievements. Apple is essentially building their own gaming community with Game Center, and while Apple doesn’t make a console, they do sell a lot of iOS devices with the iPhone, iPad and iPod touch. They both see the potential for mobile gaming networks. Another interesting piece in the phone-cloud relationship has emerged in the Firefox Home app. Being able to take your desktop Internet viewing – mid session – on the road with you is a science fiction moment. It’s the promise of VNC delivered to the average user who just wants to pull up that tab they were reading before heading out but can’t quite remember what it was or where to find it again. The iPhone convinced people to justify the cost of a data plan for something other than the BlackBerry they needed for work. Android phones wirelessly sync your data on whichever device you log into. The Kin wanted to blend the easy access to social data on your phone with the big screen of your laptop, and Firefox wants you to have a window into your home computer wherever you are. Combine all of these concepts into a single, well-done device and you would have something really special. 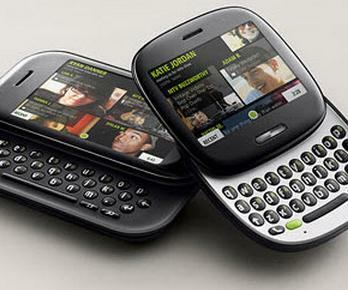 The Kin wasn’t it, but its legacy will live on as phones move to the cloud. Read next: Stick it to the Man and email while driving with Text’nDrive.